Brown Sugar Body Scrub is my new go to scrub! Never used brown sugar in a scrub before? Hold onto to you hat because you are going to love it! Check out my Sugar Scrubs page for all the info you need to start making these DIY skincare products today! Why Use a Brown Sugar Scrub for the Body? 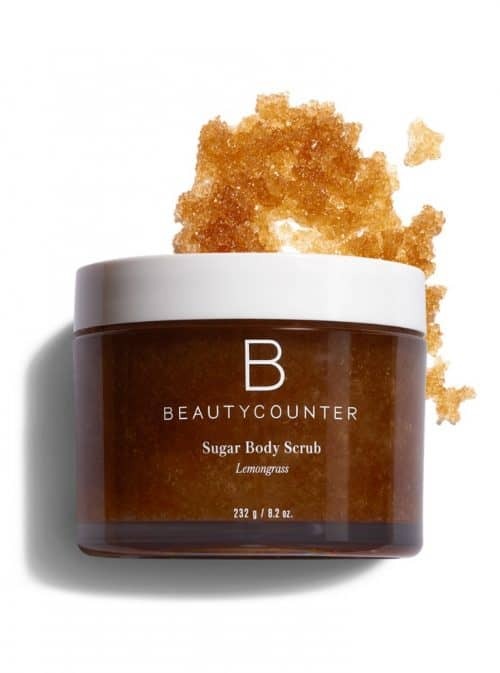 As with other sugar scrubs, you get the benefits of sugar which exfoliates and is a natural source of glycolic acid which encourages cell turnover and gives younger-looking skin. Brown sugar is hydrating, exfoliating and is a bit softer than refined sugar. 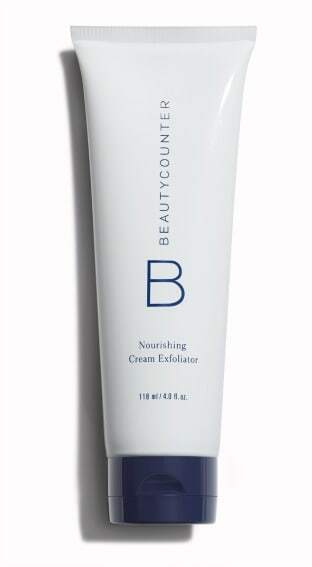 But, don’t let that scare you away – it is still a wonderful exfoliant. Homemade Sugar Scrubs made with brown sugar have a bit more of a “homey” or warm look to them. Since you are starting with the color brown in the sugar, your final product will be affected if you choose to use a colorant. Yes, but keep in mind the color will be a bit different because you are starting with the brown from the brown sugar. Because of the quality, I like to use India Tree. They are vegetable colorings without any corn syrup or synthetic dyes. Can I Use Other Oils for This Body Scrub? Coconut oil is my go-to oil because it is a medium chain fatty acid that nourishes, moisturizes and has antibacterial properties. This is the coconut oil I use. Another one of my favorite oils for DIY beauty products is Sweet Almond Oil. It helps to improve skin tone and complexion. Sweet almond oil is especially good for dry and sensitive skin. This is the sweet almond oil I use. Jojoba is another non-greasy carrier oil for homemade sugar scrubs that closely mimics collagen. It moisturizes without clogging pores. Anti-inflammatory effects have been shown. (1) This is the jojoba oil that I have used. Honey is a great addition to any sugar scrub recipe. I have added one tablespoon to the following recipe and it worked well. Aging: Honey is full of antioxidants, it is great for slowing down aging. 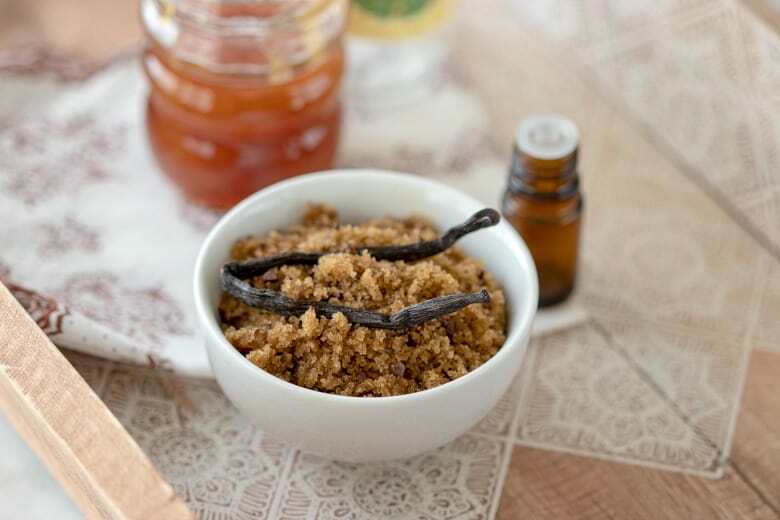 The following recipe can easily be made into a Vanilla Brown Sugar Body Scrub by adding 2 tsp vanilla extract. When adding vanilla extract, make sure to use good quality and not imitation. When using imitation, you will get the delicious smell of vanilla but also the chemicals and unnecessary ingredients that most of us are trying to avoid by making our own DIY beauty products. To make your own vanilla extract see, Making Vanilla Extract Video. I have been using this recipe for several months now and I have to say I am pleased with the brown sugar body scrub results. My skin is fresh and youthful looking while being moisturized. I am pleased with the effects on my legs especially during the dry winter months. It is amazing that a DIY beauty product that is so simple to make and only costs pennies works so well! Body scrubs are normally used during a shower or bath because the skin is clean and the moist warmth has opened up the pores in your skin. 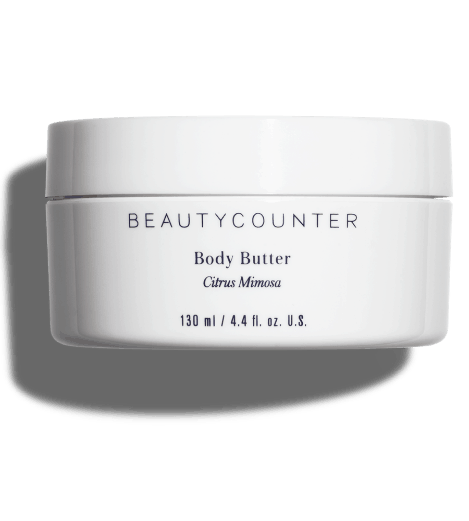 This makes them easier to clean and more ready to absorb the moisture and nourishment from the body scrub. Are There Any Dangers To Using Sugar Scrubs? This Brown Sugar Body Scrub is good enough to eat – especially if vanilla is added! Think cookie dough! How Often Can I Use Sugar Scrubs on My Body? Many people say to use a body scrub a couple of times of week. To be honest, sometimes (many times) I use it more frequently. Since I are outside working in the vineyard and the garden, my skin suffers from the sun and weather. The Brown Sugar Body Scrub is helping combat those environmental factors. After cleansing your skin, a with a clean finger, spatula or spoon, scoop out the scrub and apply to skin. Using a circular motion, rub it into your skin for about 60 seconds. Repeat for the remainder of your body. Rinse with warm water using a facecloth to remove any remaining sugar scrub. Sugar scrubs should be stored in airtight containers and this Brown Sugar Body Scrub is no exception. You can store them in plastic or glass but I prefer glass. Glass jars are easy to clean and environmentally friendly. If using glass in the shower, take care because the jar can become slippery. Everyone loves to be treated special! And, what is more special than a spa treatment? For a fraction of the price, you can give that spa experience with homemade sugar scrubs! Make the sugar Brown Sugar Body Scrub recipe. Use ribbon around jar if desired. Mix all ingredients together. If sugar scrub is too wet, add more sugar; if too dry, add more oil slowly. 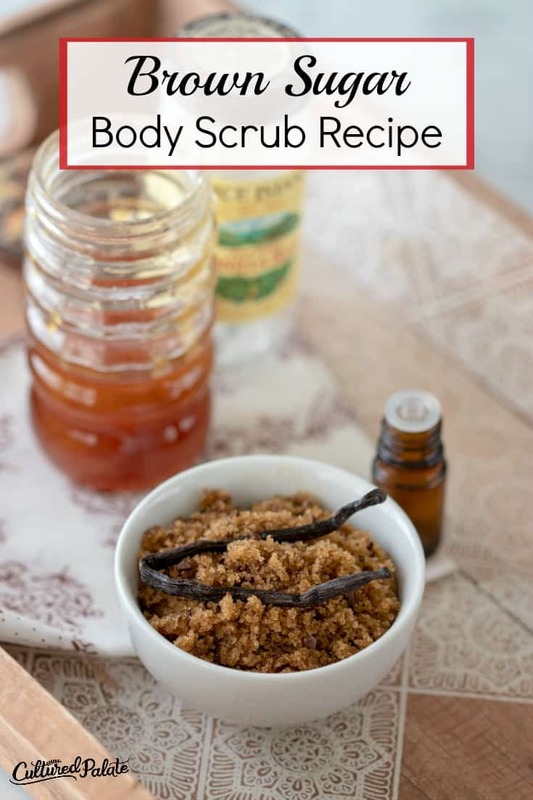 Apply a small amount of the Brown Sugar Body Scrub to skin. Using a circular motion, gently massage skin for 60 seconds or desired amount of time. Rinse sugar scrub off well. What is Your Favorite Oil to Use in Sugar Scrubs?